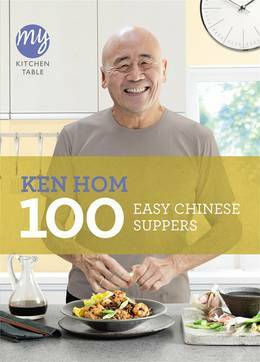 From Ken Hom and 100 Easy Chinese Suppers, this recipe makes for a popular side dish or starter. 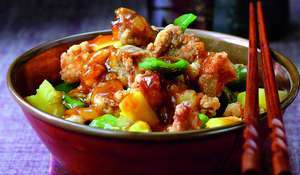 The prawn and pork mix is flavoured with ginger and soy. 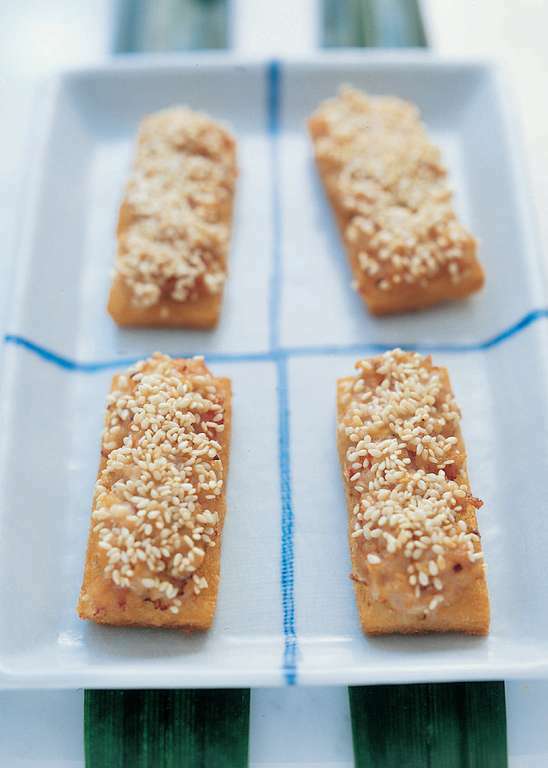 Sesame prawn toast is often served as an appetiser in Chinese restaurants. 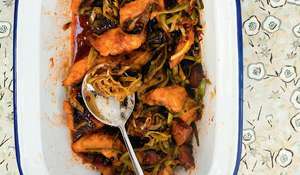 Its origins are rather obscure, but I suspect it is a variation on the prawn paste used widely in southern China as a stuffing or for deep-frying into crispy balls. 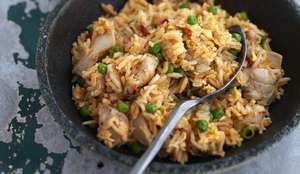 You will need a cleaver or sharp knife, and a wok or deep-fat fryer. 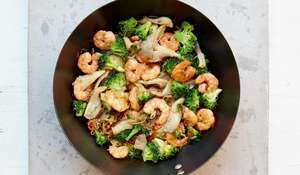 Using a cleaver or sharp knife, chop the prawns coarsely and then mince them finely into a paste. 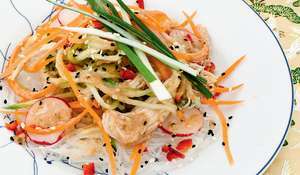 Put them into a bowl and mix in the rest of the ingredients for the prawn paste. (Alternatively, you could do all this in a food-processor.) The paste can be made several hours in advance and kept, covered, in the fridge. Remove the crusts from the bread and cut it into rectangles about 7.5 x 2.5cm (3 x 1in) – you should have about 3 pieces per slice. If the bread is fresh, place it in a warm oven to dry out a little. Dry bread will absorb less oil. 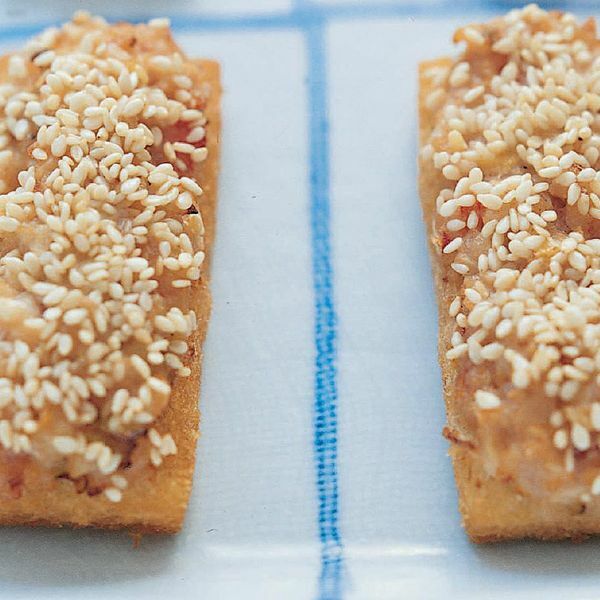 Spread the prawn paste thickly on each piece of bread. The paste should form a mound about 3mm ( 1⁄8 in) deep, although you can spread it more thinly if you prefer. Sprinkle the toasts with the sesame seeds. Heat the oil to a moderate heat in a wok or deep-fat fryer. Deep-fry several prawn toasts at a time, paste-side down, for 2–3 minutes. Then turn them over and deep-fry for another 2 minutes, until they are golden brown. 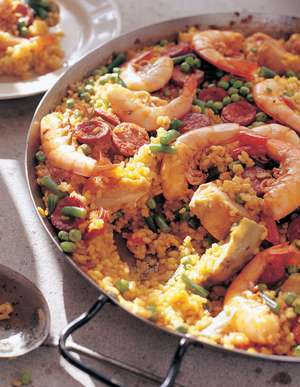 Remove with a slotted spoon, drain on kitchen paper and serve.